Ahead of its stateside bow in just two weeks, White Boy Rick has premiered at the Telluride Film Festival. The 1980s set crime pic tells the true story of Richard Wershe Jr. (played by newcomer Richie Merritt), who became a drug kingpin and FBI informant at age 14 in Detroit. Matthew McConaughey plays his father with French director Yann Demange (maker of the acclaimed 2014 indie ‘71) behind the camera. White Boy Rick was never exactly looked at as a major Oscar contender, but it was a curiosity as to whether its two main actors could receive attention. McConaughey is just five years removed from a gold statue for Dallas Buyers Club. While some early reviews have commended him and Merritt, there’s been an overall mixed to negative vibe from critics. Bottom line: This should be a total non-factor when it comes to Academy Awards chatter. Going into the Telluride Film Festival, one storyline was the possibility of Nicole Kidman garnering Oscar buzz for two roles. In the Supporting realm, her part in Boy Erased seemed like a somewhat safe bet for attention. That film’s mixed reaction has brought her inclusion in that race as more of a question mark. 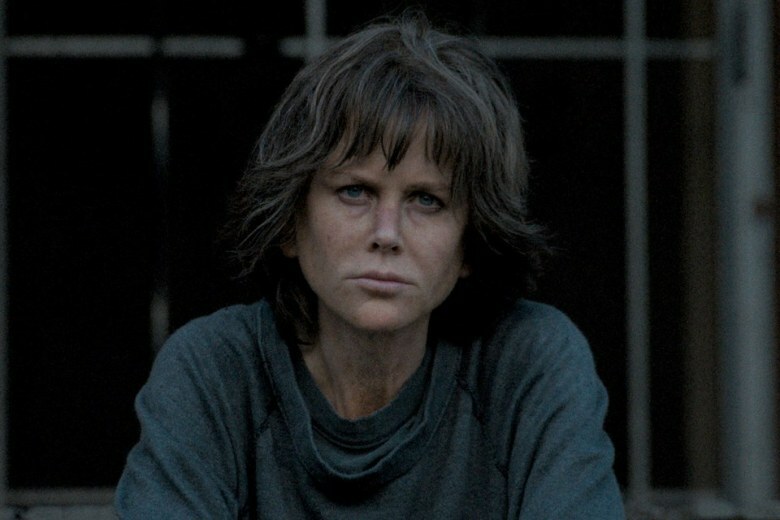 When it comes to lead Actress, Kidman stars in the crime thriller Destroyer from director Karyn Kusama. Reaction from Colorado on the picture itself is also mixed. Some reviews have compared it to the work of Michael Mann while others have criticized its confusing storyline. Yet everyone seems to agree that Kidman is terrific in an unglamorous role. Expect Annapurna Pictures to focus all of its Academy campaign on the four-time nominee and one time winner (for 2002’s The Hours). Don’t expect much chatter for the Picture, Director, or costars Sebastian Stan, Tatiana Maslany, Toby Kebbell, and Bradley Whitford. Bottom line: the Boy Erased reaction lessens Kidman’s chances at a nod in Supporting Actress. The buzz about her performance in Destroyer bolsters her shot at lead. Oscar Watch: Can You Ever Forgive Me? There have been numerous examples of comedic actors who go the serious route in hopes of getting some Oscar love. Yet Melissa McCarthy nabbed her Academy nomination early on for 2011’s Bridesmaids and did so for a role that relied on laughs. The Telluride Film Festival saw the debut of Can You Ever Forgive Me? over the weekend. And it raises the possibility of another nod for the actress. The dramedy tells the true life story of Lee Israel, an author who became known more for her forgeries than literary works. Marielle Heller directs the Fox Searchlight production and early reviews suggest it’s a winner. In addition to McCarthy getting solid notices, critics have also praised the supporting work of Richard E. Grant as her partner in crime. The studio behind Forgive could have a difficult task getting this recognized by Oscar voters if it doesn’t break through with its star’s fan base. However, the buzz out of Colorado suggests both actors have a shot at nominations. With Grant, Supporting Actor is the only acting race in my opinion that doesn’t have a definite nominee yet. So his chances could even be better than his more well-known costar. Bottom line: Telluride has raised the possibility of the two principal performers here making the shortlist.